At St. Patrick's, we embrace the fact that every child is unique. 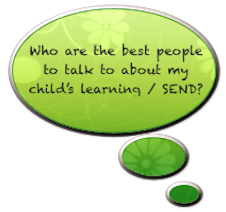 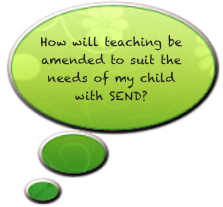 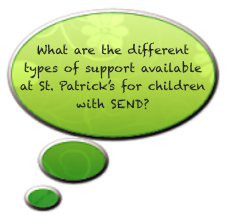 The educational needs of every child are different, particularly so for children with Special Educational Needs or Disability (SEND). Click on each question to find further information about how St. Patrick's Catholic Primary School can support your child.